The photo of the house above caught my attention the other day. It’s exactly the sort of house I love, but I couldn’t get a good feel for the part of town it had been in. It took a while to track down, but when I did, I found that it was in Highland Park, at the southwest corner of Crescent and Byron, built about 1910. 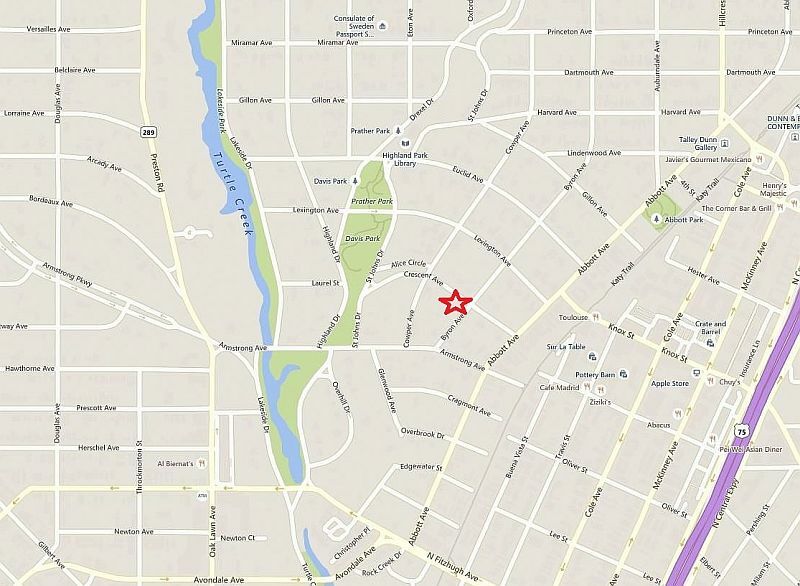 I had actually been leaning more in the direction of Old East Dallas, because when I think of Highland Park, I tend to imagine that it sprang fully landscaped and jam-packed with trees, even in its earliest days. But more surprising than learning that the house in this photograph was in Highland Park was discovering that it is STILL in Highland Park! It is still standing, and, more exciting, it is still recognizable and largely un-tampered-with! Take a look at it today, here. 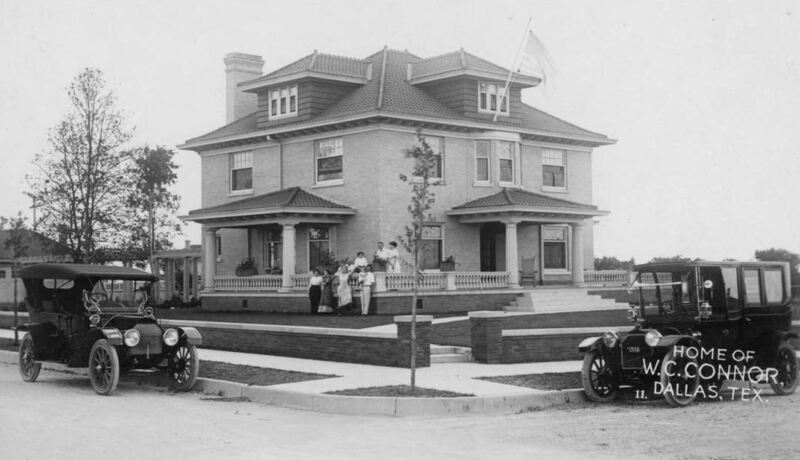 The Whiffen family moved into the house in 1910 from their previous home on McKinney Avenue. Whiffen had interests in a couple of different businesses but was primarily associated with NCR, the National Cash Register company. 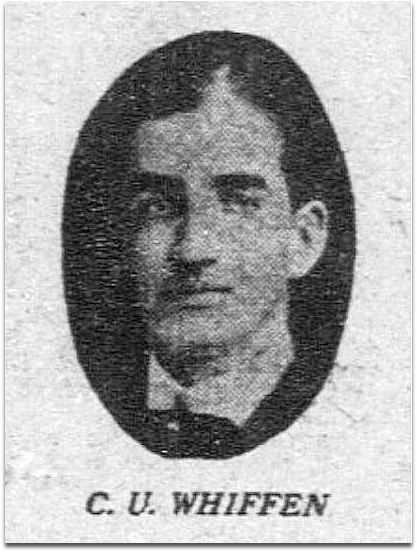 When Whiffen was transferred to Los Angeles by NCR, he sold the house to former Dallas mayor W. C. Connor for $18,000 (a little under $500,000 in today’s money). Winship C. Connor (also widely known as “Bud” Connor) was an interesting man whose contributions to the city were extremely important in its becoming a major metropolitan area. 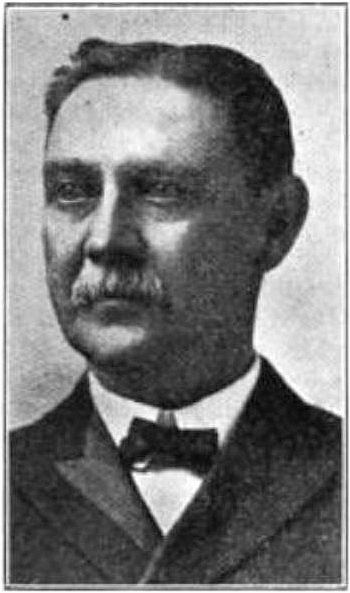 Not only did he serve multiple terms as mayor of Dallas (from 1887 to 1894), but, among other accomplishments, he also built the first waterworks system, the first streetcar line, and the first electric light plant. 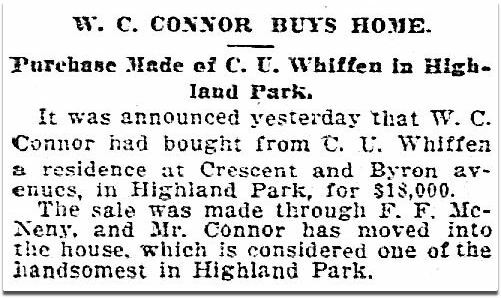 In later years, he presided over several companies, including the Consolidated Electric Street Railway Co.
Connor moved from the house on Crescent Avenue to a house on Miramar in 1918 or 1919, and, in 1921, he died, at the age of 73. The top photo of the house was taken sometime between 1912 and 1919. 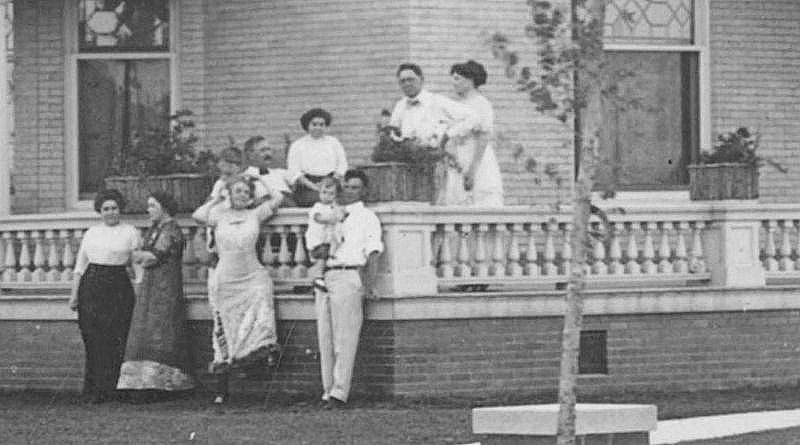 He can be seen with his family, sitting on the porch, in this detail. The house has had very few owners throughout its 106 years. In one of those odd, happy coincidences, I’ve just discovered that one of those owners was Edward L. Wilson, Jr. (1920-2011). 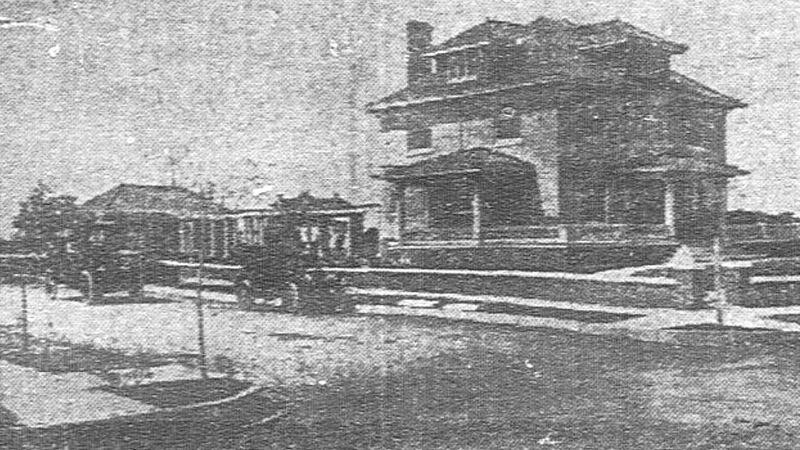 Ed Wilson was an engineer who had his office in a small building (now razed) on Maple Avenue, next door to the Stoneleigh Hotel. He leased out the ground floor to my father who ran The Aldredge Book Store there for over 20 years. Mr. Wilson was a man of few words, but very, very nice and an understanding landlord. I’m happy to learn that he and his family lived in this beautiful house for several years. Top photo, titled “Home of W. C. Connor, Dallas, Tex.,” is from the George W. Cook Dallas/Texas Image Collection, DeGolyer Library, Central University Libraries, Southern Methodist University; it can be viewed here. See inside this house in a Dallas Morning News video, here (for some reason, I am unable to view this video on my computer, but I can watch it on my phone). 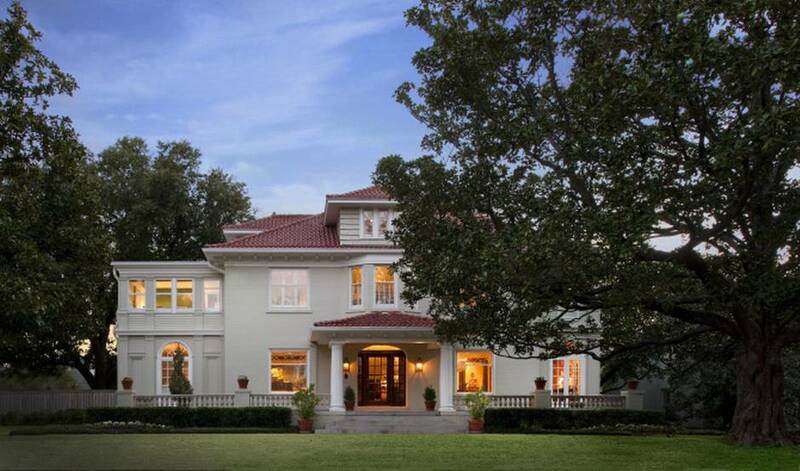 The house was a featured stop on a Highland Park Centennial celebration tour of homes in 2013. More photos of the house today can be seen on Douglas Newby’s Architecturally Significant Homes page, here. 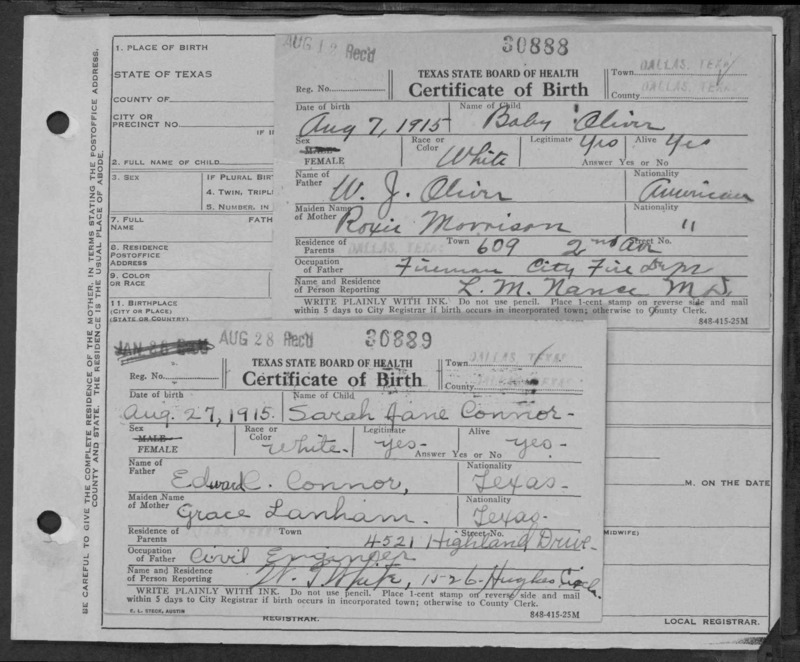 W. C. Connor was a man of great accomplishment — his Dallas Morning News obituary (Aug. 6, 1921) is here; his citation in A History of Greater Dallas and Vicinity is here; his Wikipedia page, here. At first I thought the top photo of the house was probably taken closer to 1912 than 1919. However, I think standing at the front corner of the house is Winship’s son Edward holding his daughter Sarah. She was born in August 1915, https://i.imgur.com/GMVaA8C.jpg , so I think the photo was taken in early 1917. Interesting to see how the house went from essentially an American four square in its early years to a much grander home with the additions on each side. Not sure if the Palladian windows work with the Prarie influenced original design, but it’s a beautiful house nonetheless. C.U. Whiffen? What a name. That house, even without the additions appears quite ahead of its time, with regards to its architecture/design. Pretty impressive. Even the photo from its first days, it looks quite contemporary to the last thirty years. Still standing? Shhhh! Draw attention to it and the city of Dallas will feel compelled to tear it down and put apartments there.